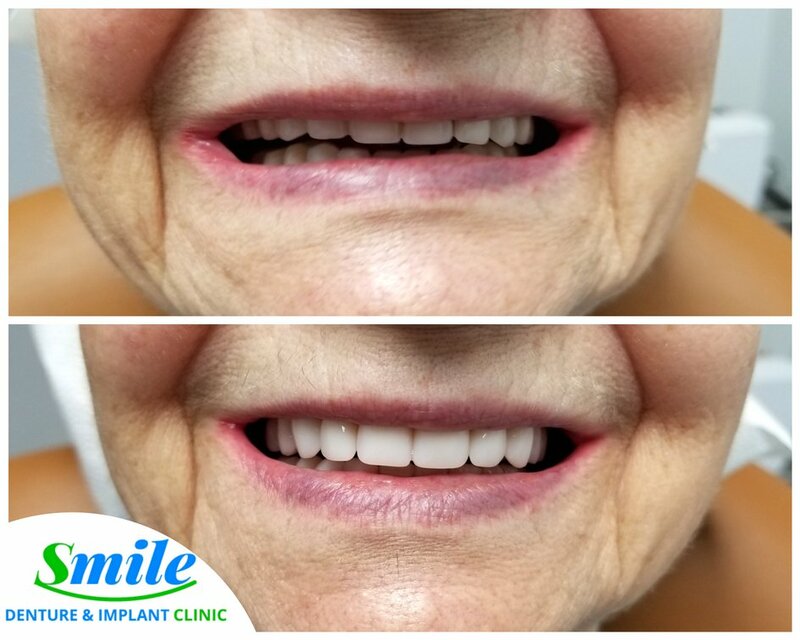 Female patient presented to our Ottawa denture clinic wanting a new complete lower implant supported denture. 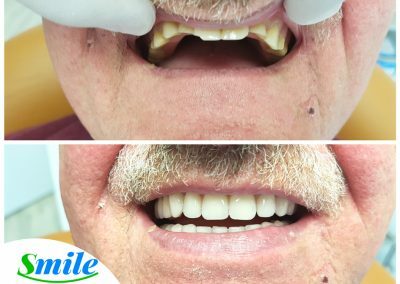 In addition, her existing crowns on the upper arch were fabricated on a slanted occlusion and her old existing complete lower implant supported denture was worn down occlusially. 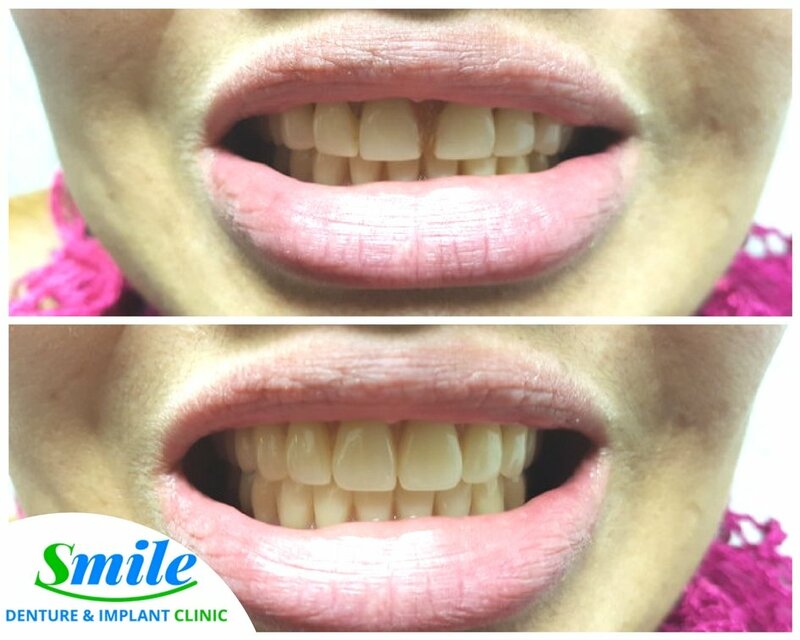 As a result, the attachments on the lower left quadrant of her arch Q3 broke two times in the past. 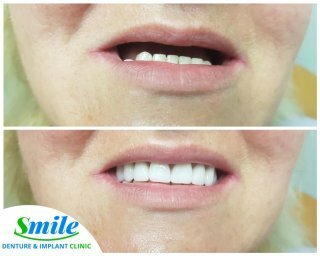 This suggested that the old dentures were not fabricated properly on her gums and on the implants. 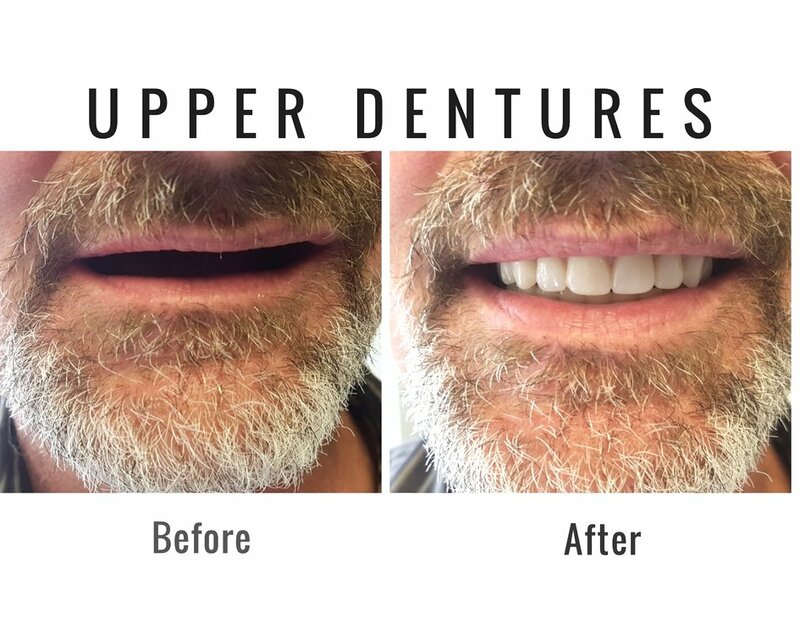 We successfully matched the lower denture to her upper crowns. 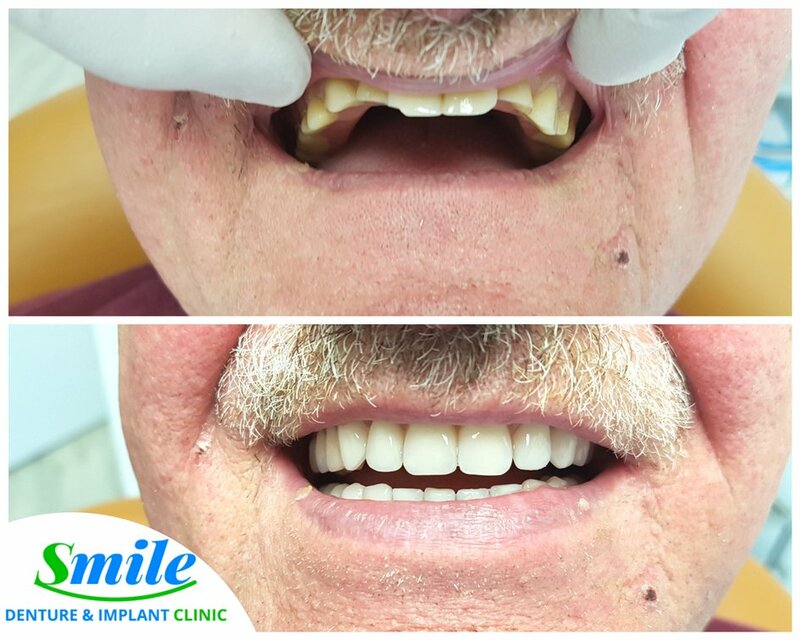 In the end, the patient left our Ottawa denture clinic happy and satisfied. 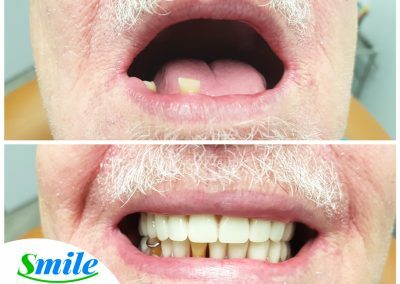 Her new lower denture fit properly and allowed her to eat without worry of her attachments or denture breaking again. 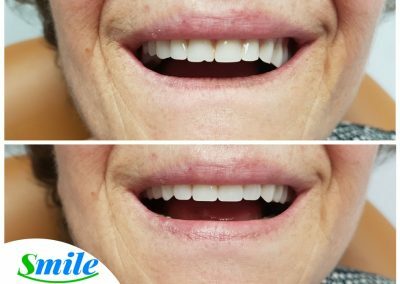 We are happy we were able to restore yet another smile with our dentures. 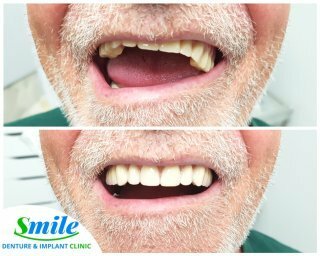 Smile Denture and Implant Clinic offers a range of cost effective dentures and treatment plans. 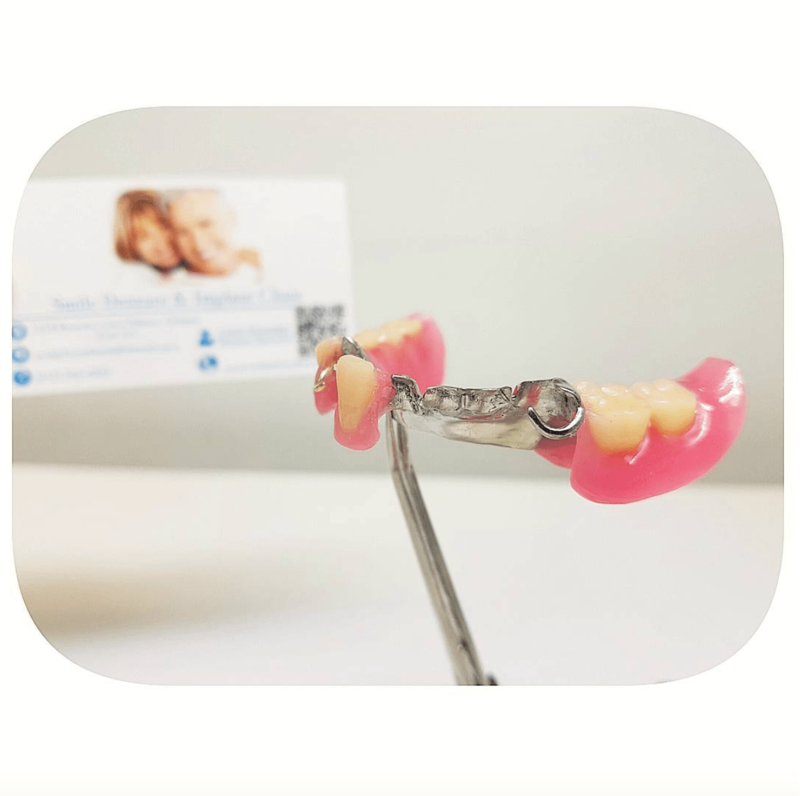 For a full listing of denture related services that we offer, check out our Services. 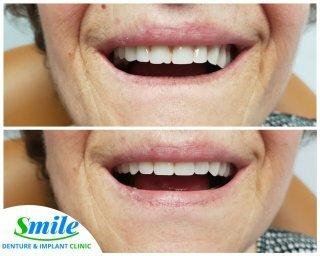 Patient presented to our clinic with her old upper and lower dentures. 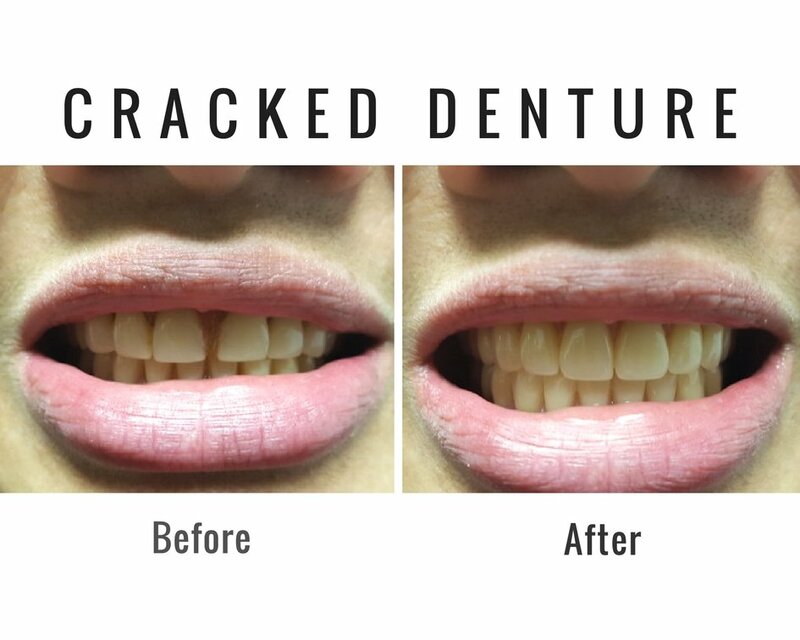 The upper denture was cracked in the middle twice due to an improper centric bite. 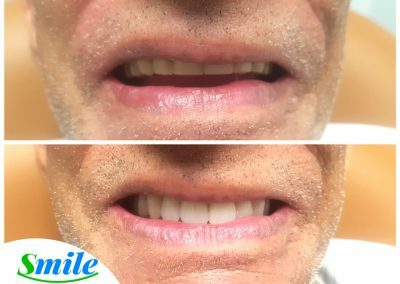 Patient was over closed and was starting to have TMJ pain. 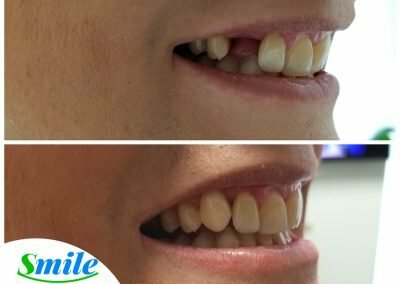 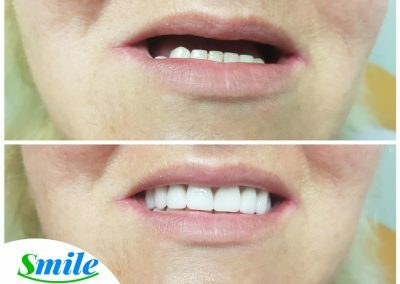 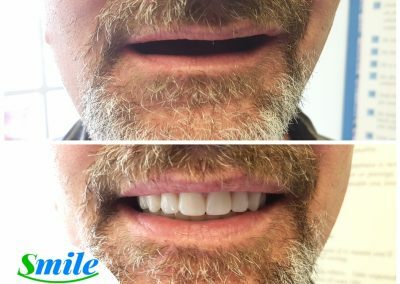 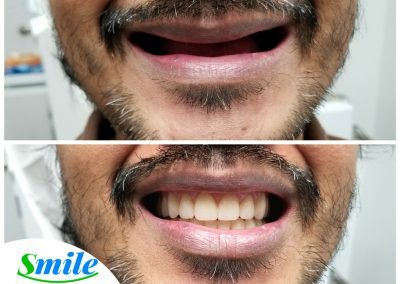 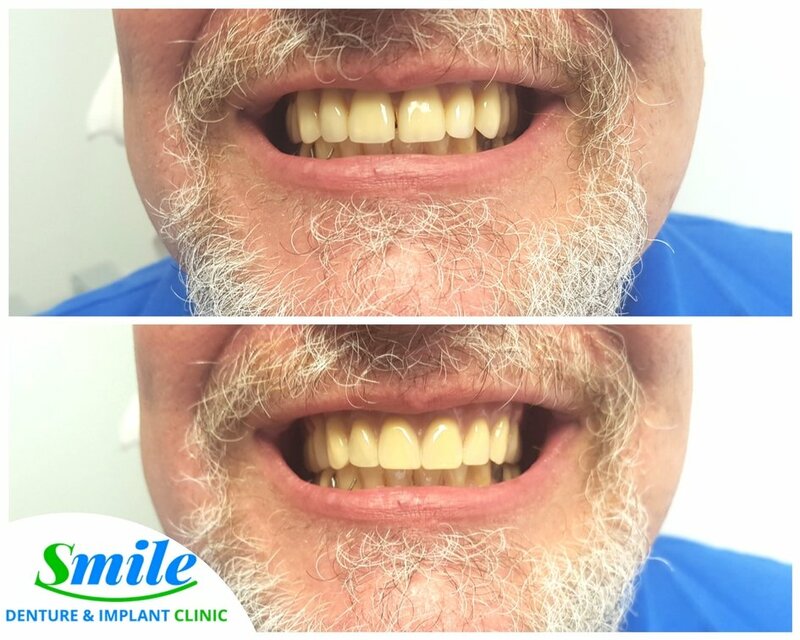 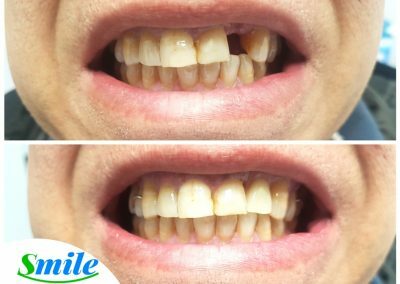 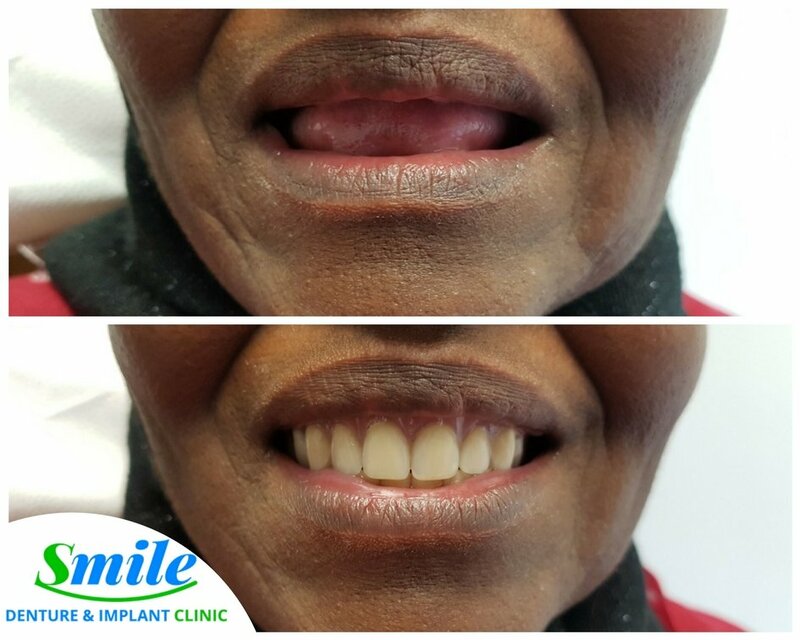 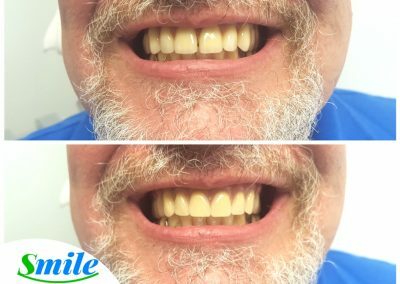 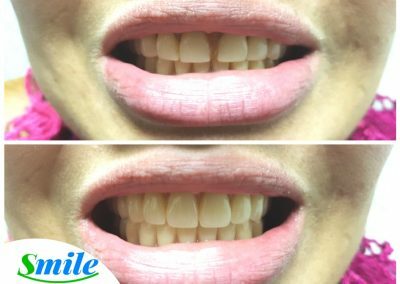 Smile Denture & Implant Clinic completely restored her smile to a proper class one bite and increased her bite by 4mm. 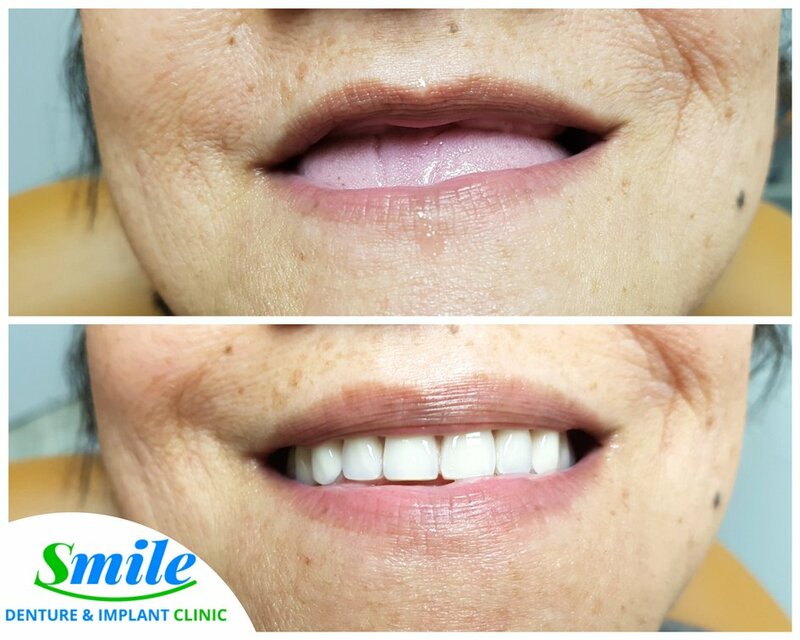 Patient left our clinic looking youthful and happy again with her new set of dentures. 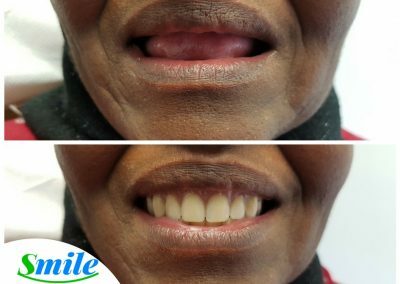 Not only did she receive a new set of dentures but she was now TMJ pain free. 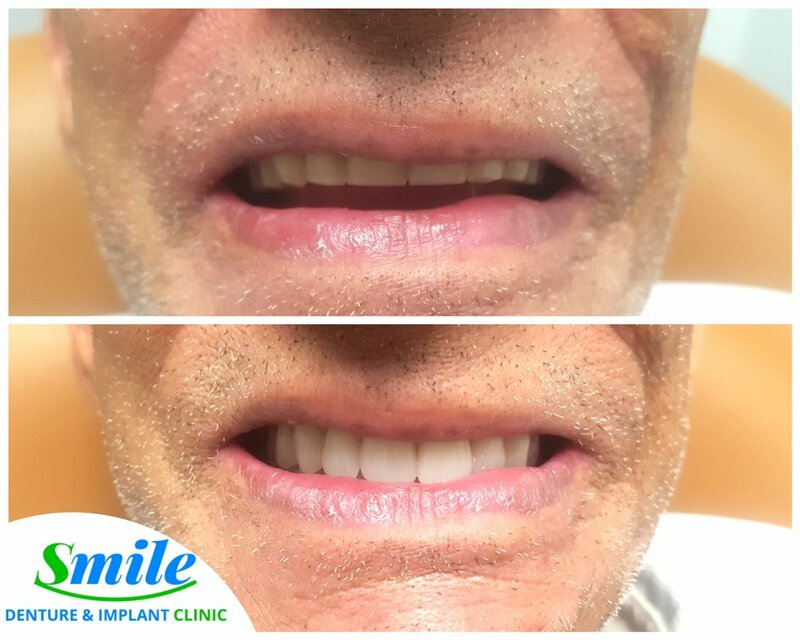 Facial profile of a satisfied patient before and after with a full upper denture. 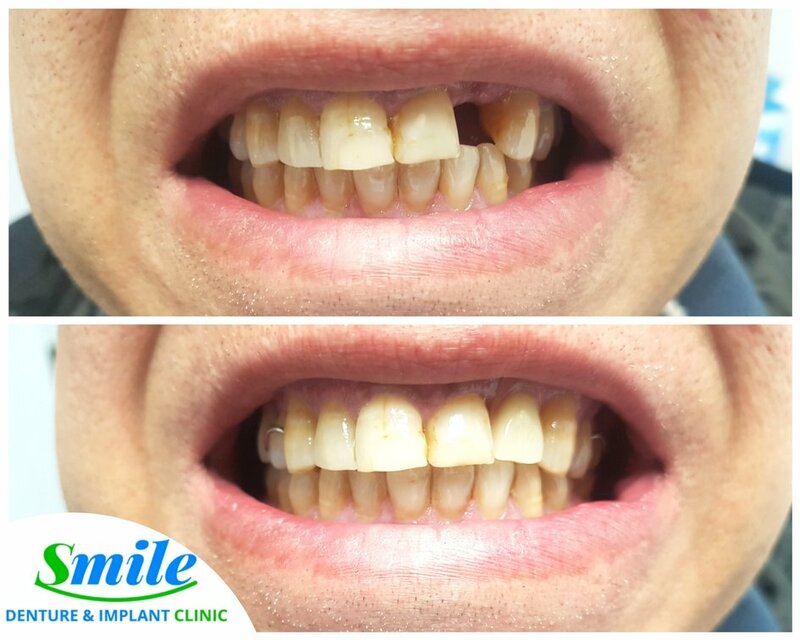 This patient presented our clinic with a class 3 Bi-lateral cross-bite. 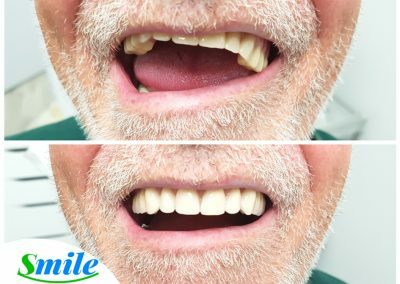 The patient was severally over-closed due to a lack of no supporting dentures. 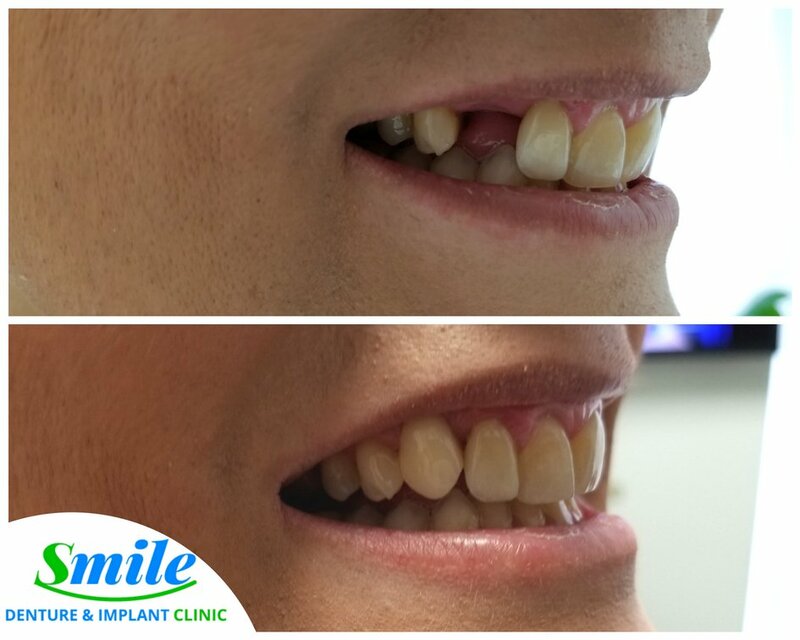 In fact, the patient had 2 implants installed, jaw broken in a half. 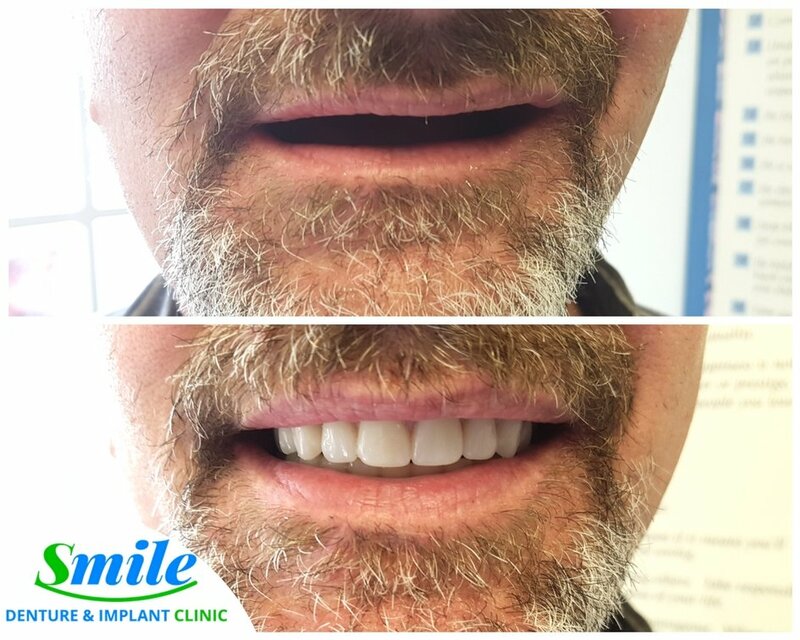 This eventually lead to one of the implants failing out and the second one on the verge of failure. 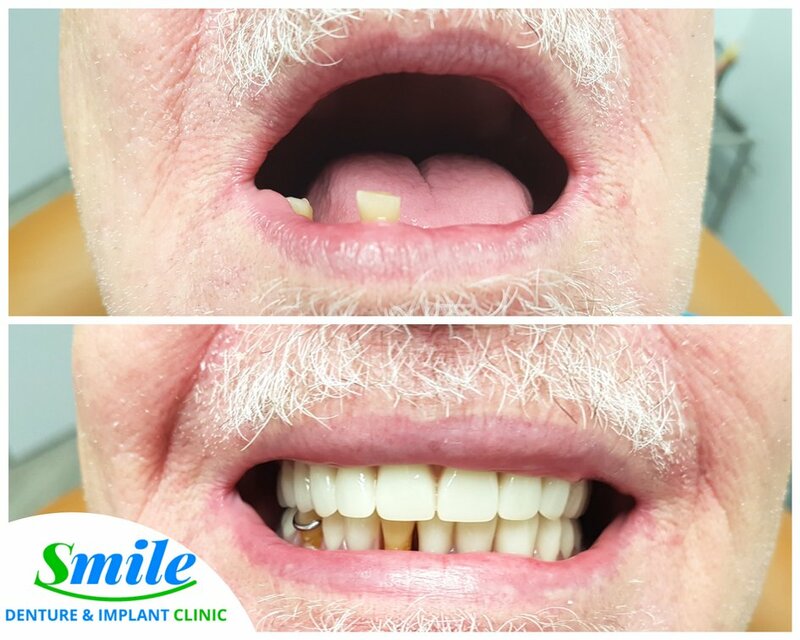 We completely restored the patient to a class one bite with a soft liner on his lower denture due to bony undercuts and flat ridges. 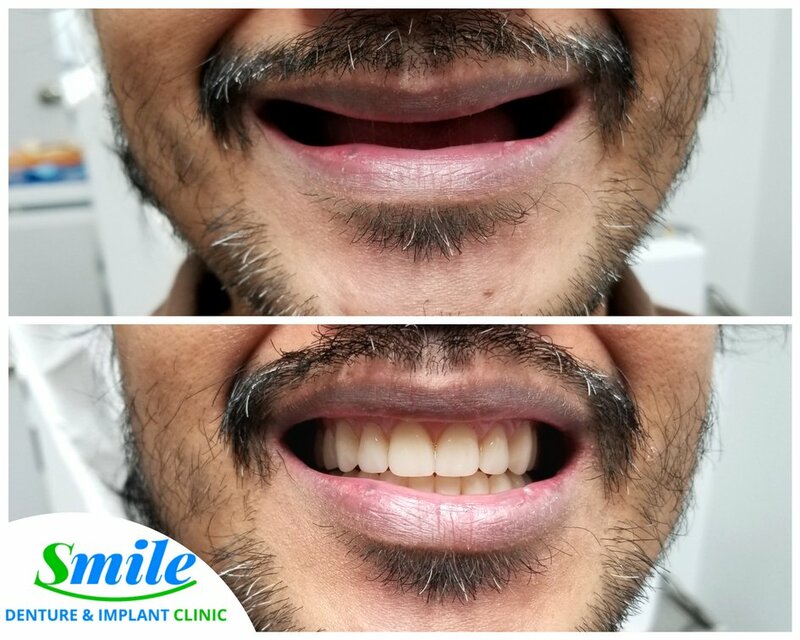 The patient left our clinic with the smile he has always wanted. 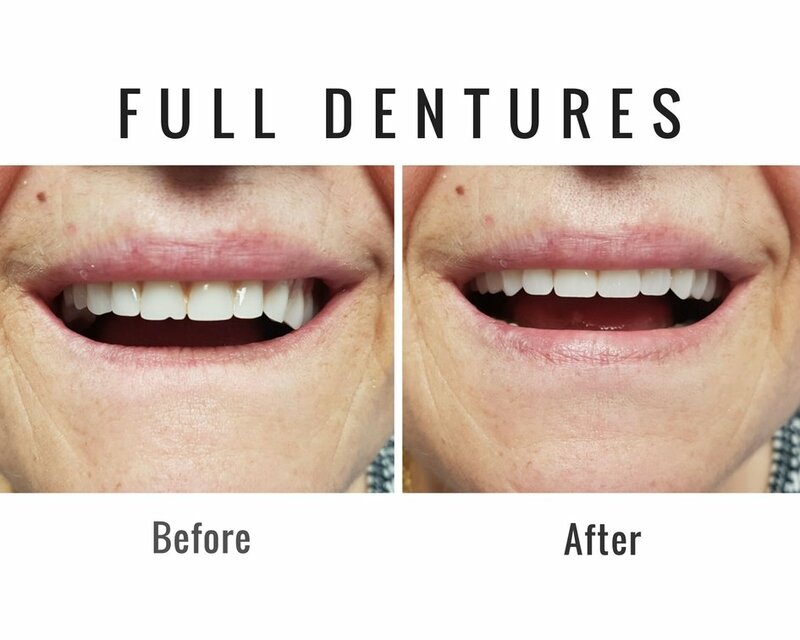 Dentures can significantly improve your facial structure and profile making you look youthful again. 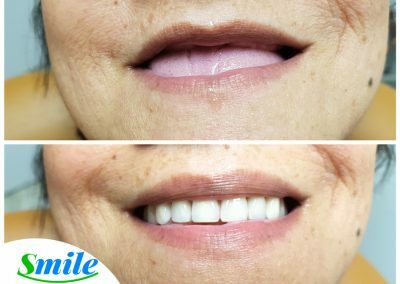 Call or visit us for your free assessment and let us help you restore your smile. 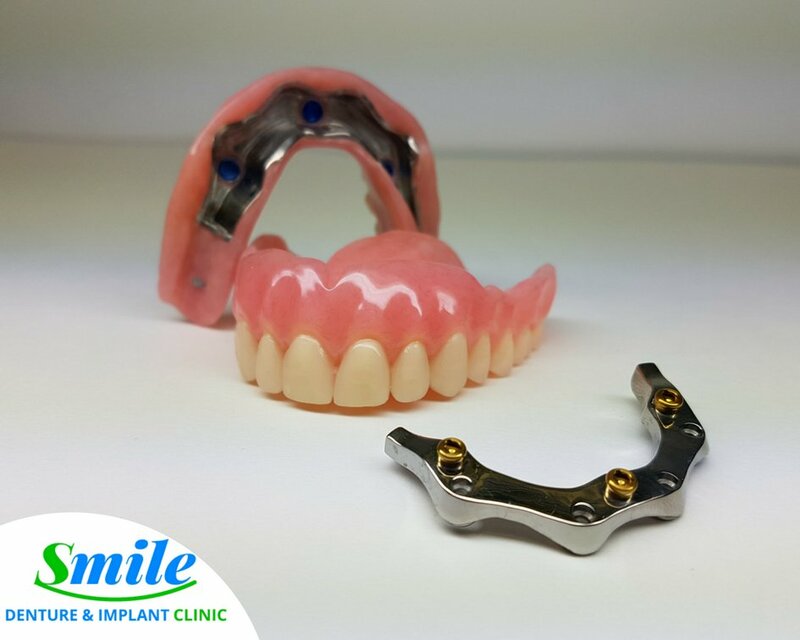 Partial lower denture with a metal framework in wax for our new patient at Smile Denture & Implant Clinic. 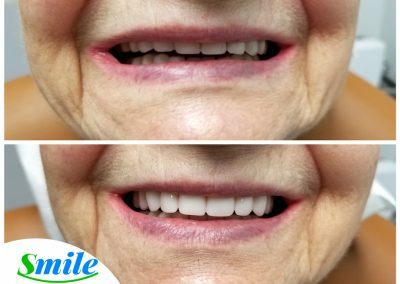 The denture was set in wax to ensure perfect smile and bite during the fitting. 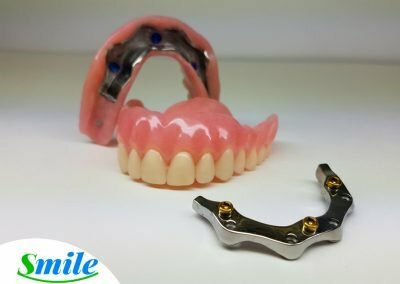 This way, the patient has the opportunity to change the denture to insure the best fit and satisfaction before it is finalized in acrylic.